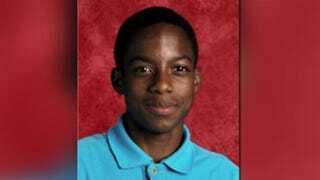 In a statement to The Root, Jordan Edwards’ family makes it clear that, though they appreciate the immense support, they need time to mourn their son privately before they can accept him becoming another hashtag representing all of the young black people who have been slain by law enforcement. As we prepare ourselves both mentally and emotionally to lay our dearest Jordan to rest, we recognize and honor the fact that so many mourn with us. Our family is wrestling through the magnitude of this traumatic experience and though we appreciate that many would like to pay your respects to Jordan, we have elected to hold a private wake and funeral to allow us the opportunity to fully mourn in the privacy, safety, and intimacy of those closest to us. Please respect our wishes by allowing us this time to grieve. We also ask our community and supporters to respect our wishes to refrain from protest, rallies, vigils, marches, etc. until after we have laid our son to rest. We need time to exhale. To allow Jordan’s death to be our own loss before we share this loss with the world. Though we understand what his life and death means symbolically, we are not ready to make a martyr of our son. Again, thank you forsupporting us through this heart wrenching time. Jordan is a child of the Movement for Black Lives, but he is first Charmaine and Odell Edwards’ baby; he is first Vidal and Kevon Edwards’ baby brother; he is first the big brother of a 4-year-old girl who will have to struggle to remember his presence in her life because his was so ruthlessly taken away. It is the Edwards family who will be forced to learn how to live in the empty spaces and too-loud silences. It is Jordan’s family who will notice the pause in conversations where Jordan’s laugh once lived. Grief is not something that can be explained to those who have not experienced it. The way the world moves on, the way the sun still shines while your heart lies exposed in a cold morgue or medical examiner’s office or cemetery. We love our children with a profound, visceral, intentional love, even while knowing that losing them will kill us. As we all mourn Jordan’s death, and rage against the white supremacist system—and one of its violent mercenaries, Officer Roy Oliver of Balch Springs, Texas, who killed him—may we continue to lift up those who loved Jordan most and demand justice in his name.